Just as part of the Black Friday madness has moved online, so too has part of Black Friday healthcare, as more people, in their Thanksgiving hangovers, seek care virtually. That reflects not only the fact that telehealth use tends to increase right after a holiday but also a broader shift toward digital care across the seasons. Doctor On Demand, for instance, had a 25% spike above expected volume on Black Friday 2016, and for Avizia, the days after Christmas and Thanksgiving last year were among the busiest all year. Likewise, "we see a drop on Thanksgiving and a spike on Black Friday," said Mike Putnam, senior vice president of consumer markets for American Well. But, he added, "people in general are becoming much more aware of telehealth, and we're seeing the number of visits grow quite rapidly." Over the last year, healthcare executives have heralded telemedicine as the solution to rural healthcare woes, a way to treat people in areas hit by natural disasters, and an efficient cost-cutting measure. Patients, who find the service convenient and less painful for out-of-pocket costs, have been using telemedicine services more, said Anne Stowell, vice president of member engagement for Teladoc, which has seen increased utilization year after year. Meanwhile, legislators have been making telehealth incrementally easier for both patients and providers. In May, Texas became the final state to allow the establishment of a patient-provider relationship without an in-person meeting first. "That should be celebrated," said Nathaniel Lacktman, a healthcare lawyer with Foley and Lardner. 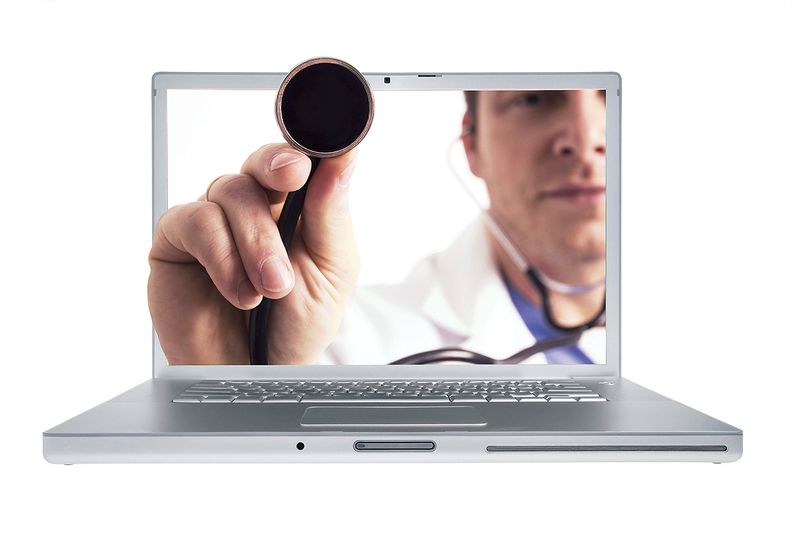 Payers, too, have become more accepting of telemedicine. "We're seeing increasing coverage on the part of payers," Putnam said. Most states have telemedicine parity laws that say commercial payers must reimburse telemedicine and in-person services comparably. And there is pending legislation in Congress that would expand the kinds of telehealth visits reimbursed by Medicare. But that's yet to change things much. "Medicare hasn't caught up with the direct-to-consumer model," said Alexis Gilroy, chair of the business and finance group of the American Telemedicine Association and a partner with Jones Day. So until those bills and others pass, reimbursement will hold telemedicine back. It already does: Most respondents to a recent KLAS survey said reimbursement was the biggest barrier to expanding telehealth. That's a shift from three or so years ago, when the biggest concern about telemedicine was return on investment, Lacktmant said. "Now, it's almost a foregone conclusion that if you want to remain competitive in this environment you have to have telemedicine incorporated into your services," he said. "As more people want to use it, they'll put pressure on the health plans, just as providers have." Along with ROI, licensing is no longer the roadblock it once was, with 22 states now part of an interstate compact that allows them to practice telemedicine across those states' borders. What could make licensing even less of an issue is the VA's latest plan to allow its providers to care for patients virtually regardless of whether they're in the same state. "We're going to see the VA as a laboratory or litmus test for what the rest of healthcare could see several years later," Lacktman said. In the meantime, Putnam and others expect telehealth to continue to become more popular, with it being used more for remote monitoring of patients with chronic conditions, a strategy that stands to cut costs. As we near the end of the year, with telemedicine legislation still up in the air and new bills bound to appear in the year to come, here's a look at how we got here. A federal judge overturned Idaho laws that prohibited women from receiving medication-induced abortions via virtual care. The Charleston (W.Va.) Area Medical Center saw lower readmissions for congestive hear failure and COPD after implementing SmarTigr, a telehealth system. RAND Corp. researchers find that telemedicine may actually be driving up healthcare costs, showing that, while telehealth visits are cheaper than in-person ER visits, they're used often enough to increase spending. The Telehealth Innovation and Improvement Act, introduced in April, would let certain hospitals test telehealth offerings for Medicare beneficiaries. Six senators introduce the Creating Opportunities Now for Necessary and Effective Care Technologies (CONNECT) for Health Act of 2017, an updated version of a bill introduced in 2016 that would allow remote patient monitoring to be used for the treatment of some chronic conditions and expand the provision of telestroke services. Just a fifth of respondents to an Advisory Board survey said they've used telehealth, but about three-quarters said they would be open to it. Teladoc raises $50 million in new capital, and Avizia raises $11 million in Series A funding in July. VA Secretary Dr. David Shulkin announces "anywhere to anywhere" VA healthcare, which would expand the use of telehealth for veterans. The Texas Medical Board revised rules so telemedicine providers can treat patients without first having in-person meetings. The VA proposes a rule that would allow VA providers to conduct telemedicine visits across state borders. The Joint Commission nixes standards that would have required telemedicine providers to confirm a patient's location to match the patient with a properly licensed provider and to talk about treatment during the informed consent process. American Well, Teladoc and others provided free virtual care to people in areas hit by hurricanes Harvey and Irma. A KLAS survey shows that limited reimbursement is the biggest barrier to expanding telehealth. The House passes a bill that would allow VA providers to deliver care virtually across state borders, regardless of where they or their patients are.